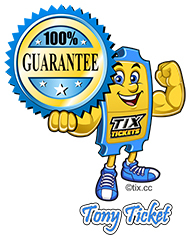 Bring Tony Ticket® to your event. Take some pictures and videos of you and him enjoying the event. Share them on our site. 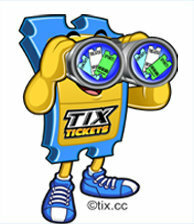 Download your Free Tony Ticket® here. Bring him to your next event and take some fun pix and flix. Some ideas: pose him with you and some fans watching the event. Pose him with the venue sign in the background. Upload them here to share with other fans. Make sure your pictures & video are related to the event. Inappropriate pictures & videos will be rejected along with your review. If you are not the copyright holder, you may not submit copyrighted pictures or videos. I have read and agree to the Terms and Conditions.The pictures and/or video I am uploading is my own and meets the Content Guidelines.